Money Queen’s Guide Author Cary Carbonaro explains how you can get the most from Social Security, despite recent cuts to the program. There is a growing body of evidence that independent advisory businesses would be more successful if they had more female financial planners. An excellent example of this is the TIAA-CREF Asset Management Survey (of 1,004 Americans at least 21 years old with $100,000 or more in investable assets, and who currently work with a financial advisor) released last June. It concluded, among other things, that “70% of women leave their financial advisors within a year of being widowed.” As we all know, women tend to live longer than men, which means firms that fail to build solid client relationships with both spouses face the prospect of very high turnover among their wealthiest clients. Cary speaks with “Today’s Leading Woman” and explains how to take control of your financial future. 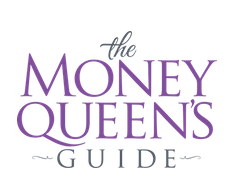 The Money Queen’s Guide can help advisors better understand how female investors relate to money. Read the Think Advisor piece here. Orlando Sentinel: Oh, girls, you are sooooo gonna hate Cary Carbonaro’s ex-husband. But you are so going to love her book. Oh, girls, you are sooooo gonna hate Cary Carbonaro’s ex-husband. But you are so going to love her book. Carbonaro, a nationally recognized certified financial planner based in Clermont, is this week releasing her first book, “The Money Queen’s Guide.” The subtitle is “For Women Who Want to Build Wealth and Banish Fear.” Last week, the book hit No. 1 New Release on Amazon.com before it even was available. The book makes a link between self-esteem and money that will resonate with plenty of women readers, regardless of whether they are married or single. For Carbonaro herself, it was a protracted and vicious divorce that got her attention and demanded that she plan her financial future, something most of us neglect. And, hey, she is a financial planner. And therein is the comforting message: Failure to plan can happen even to the pros, but it doesn’t have to happen to you. Once Carbonaro gets that notion across, she’s off and running in a book that, like the author herself, bubbles cheerfully and sweeps the reader easily along. With flashing neon signs promising “same day cash,” billboard ads toting “everyone’s approved” and seemingly endless “no credit check” pop-up ads, it seems like payday loans are unavoidable. And for many, they are. Cary Carbonaro discusses alternatives.